Hosting an arts contest at your school? 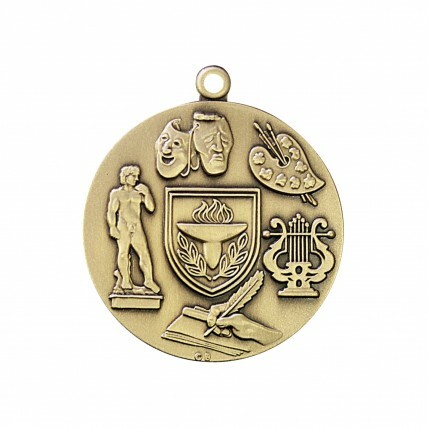 Recognize the finalists with our Premium Reflections Art Medallion ! 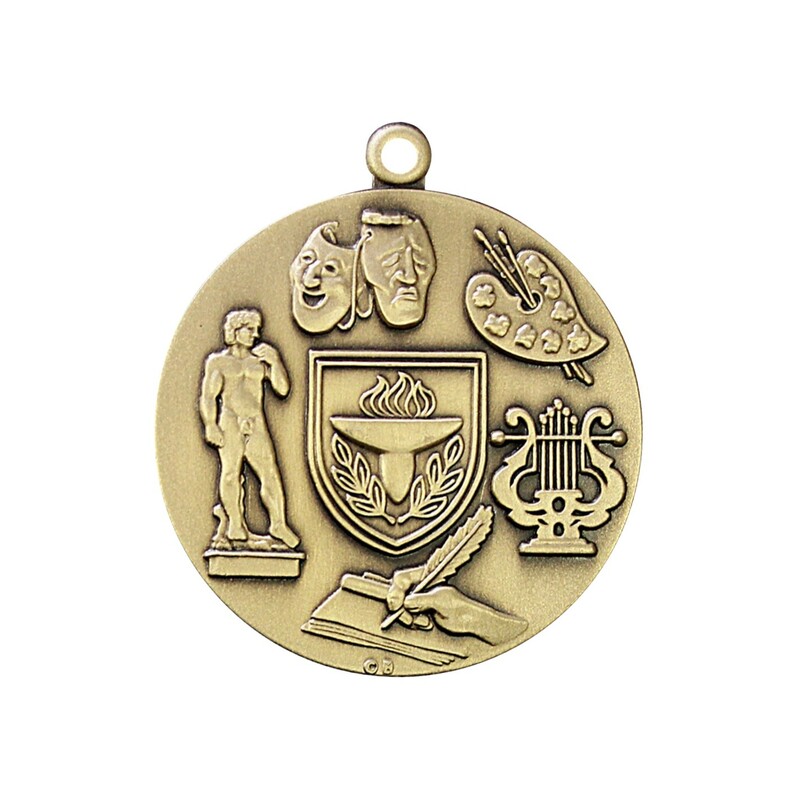 This high quality, heavy medal is available in gold, silver, or bronze. Each depicts several art forms including writing, painting, drama, and sculpture, perfect for the Reflections art contest. At the center is a shield with a torch. Your three lines of engraving are etched and darkened on the back. 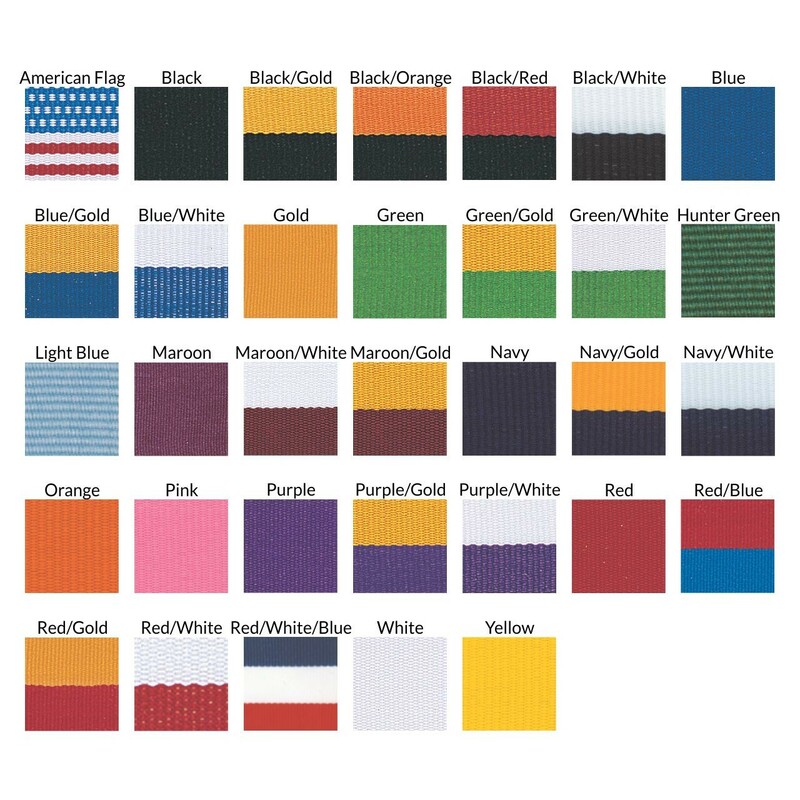 Choose a neck drape color from our extensive list.